Xylitol is a natural product that can be found in fruits and vegetables such as berries and corn. In most cases, commercial xylitol products are derived from birch trees. It is most commonly used as a natural sweetener and sugar substitute. However, some beneficial effects associated with xylitol sweeteners have made it useful for an assortment of medical purposes as well. Dosage of xylitol is not strictly monitored. It is typically consumed as gum, candy or syrup for those who seek medical benefits from the product. In these forms, it is usually used in doses of 7 to 20 grams three to five times a day for adults and children, or at a dose of 8.4 to 10 grams five times a day for toddlers. Xylitol is considered safe in doses up to 50 grams a day for adults, or 20 grams a day for children. Higher doses can cause more serious side effects and should be avoided. 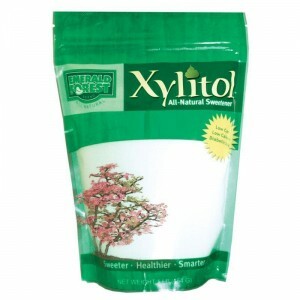 Xylitol is a sugar substitute that can be used in food products in place of sugar. It does not contain carbohydrates, though it does still contain calories. Xylitol is useful for patients with diabetes who still want a sweet treat without the hazardous effects on their blood sugar levels. Xylitol may also be used in the form of a toothpaste or gum to help prevent cavities or treat dry mouth. As a gum, lozenge or syrup, xylitol may be used to prevent ear infections in children. In these forms, the dosage of xylitol is usually too small to cause noticeable side effects. Xylitol is also frequently used in tube feedings to provide additional energy to the patient. Stevia is a natural sweetener product and is derived from the South American stevia rebaudiana plant. The plant is dried and powdered to make this substance. Aspartame is a common, FDA approved, artificial sweetener used in many low-calorie food and beverages.